Dr. Franklin Cox received B.M. degrees in cello and composition from Indiana University, as well as composition degrees from Columbia University (M.A. ), and the University of California, San Diego (Ph.D.), where he also served as adjunct faculty member from 1993 to 1995. He studied cello with Gary Hoffman, Janos Starker, and Peter Wiley, and composition with Steven Suber, Fred Lerdahl, Brian Ferneyhough, and Harvey Sollberger. Dr. Cox has received numerous fellowships, prizes, and commissions from leading institutions and festivals of new music, including fellowships from the Schloss Solitude and the Sacher Stiftung, the Kranichsteiner Prize for both composition and cello performance from the Darmstadt Festival (also serving on the Komponistforum in 1994), and commissions from the 1998 Berliner Biennale and 2001 Hannover Biennale. He has performed with many leading new music groups, including the Group for Contemporary Music, Exposé, Surplus, Kammerensemble Neue Musik Berlin, and Ensemble Köln. Since 1993, he has presented a solo recital entitled "The New Cello," focused on original new works for the cello, more than 80 times throughout Europe and North America. In 2002, he joined the faculty of the University of Maryland, Baltimore County as Assistant Professor of Music. 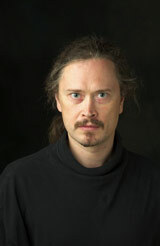 He is co-editor of the international book series, New Music and Aesthetics in the 21st Century. His works are published by Rugginenti Editions and Sylvia Smith Publications.